Transparent Car Made of Acrylic: The Latest Sensation! We see an abandoned Ferrari in the middle of the road and wonder what might be the story behind it as we pass by. What could have gone wrong? Is it still good to go? Should we turn back and claim this lost treasure. It would have been better to get an X-ray view of that Ferrari then and there. Then we would have known right away that the oil has been leaking within it and it is about to catch fire and explode in 3…2…1! Well, ghost life at least gives us freedom from the ever-escalating fuel prices. So we still have that going on for us! So for the alive mortals out there, the acrylic transparent car is here to redefine the road safety game for good. Protected with the transparent acrylic casing, we can actually see the many cogs of this car functioning in a crystal clear manner. This next generation car was unveiled at the Frankfurt Motor Show. From the house of TRW Automotive, it has been launched as the first transparent semi-automotive car. Being the first of its kind, it has already generated enough buzz in the automobile industry regarding its uses and benefits. The entire outer body of this car is made up of acrylic material. It is a bold choice since it exposes every single detail of this car both while on road and off it. Basically, the manufacturers have made this choice to emphasize upon the various safety features included in the car. We can see the various reassuring safety measure that has made this car a lot more safe than its counterparts on the road. This completely transparent car not only informs you about every single detail but is also a delight to watch. Complete acrylic is a hard look to pull off with an exposed circuitry but these pair of wheels make it look effortlessly impressive. The car design has found a unique way to make this look be helpful and stunning at the same time. The car oozes innovative spirit from inside out. Whether it is the overall design, layout or even the choice of the braking systems; every single aspect of this car has been optimized for the present times. A lot of planning and effort has gone into rediscovering the conventional car design and turning it into this automobile breakthrough. A lot of research has gone into creating this next generation mechanical marvel that we will all benefit from today. The various components of this car have been made to respond and act in the nick of time thus making it the perfect companion for those long and exhausting drives. According to TRW Automotive, the cars of the future are going to be a lot safer than today. The automatic safe driving feature and a range of advanced safety features will become the highlights of the car industry in the near future. The semi-automatic driving is facilitated with the help of a number of sensors present all over the car. They are connected together to collect, process and then execute a range of functions together in a seamless manner. They are present at all the important points throughout this vehicle and pick the relevant information as and when it arrives. These sensors play a key role in making this car an apt vehicle for the future. The sensor network is connected to all the major safety systems of this car to provide premium safety at all times. These sensors basically collect the data related to the surrounding traffic, ground conditions, rash driving defaulters and many other kinds of crucial data. This sensor network improves the safety of the passengers, driver and the pedestrians who the car passes by on its way. A safer driving experience is the main goal being the development of this car. The innovative additions to this car have mainly been in the safety domain making it the most suitable drive for a family vacation or even a solo trip to the unexplored territory. The main reason behind the creation of a transparent exterior was to demonstrate the many helpful safety features that have been incorporated into this vehicle. These features need to be implemented in all the major car models over the next decade to make road safety issues a thing of the past. The semi-automatic riving is administered with the help of a helpful driver assist system. The data collected from the sensors is fed to this system so that it can offer suitable guidance accordingly. This helps the car to be operated in a manner that the people within and outside are safe at all times. It comes handy during the emergency situations when quick decisions need to be made and there is no scope for human error. In these times, the driver assist system can make crucial adjustments and save everyone from disaster. A radar is also fitted with this car that can sense and warn the driver about the possible collision with oncoming cars. It can also inform us about the passengers that we somehow could not notice. The emergency braking and spark mitigation braking makes the road safe for everyone in the vicinity. One of the simplest yet most ignored forms of safety while driving involves the car seatbelt. Initially, we still might put it on every time we are driving or even in the back seat. But after a while, it seems useless. Unless we get into a serious accident where putting the seat belt on could have saved us from a lot of trouble. In this transparent TRW automotive vehicle, the seatbelt can save us from a whole lot of trouble. It does not just work as the traditional safety mechanism. But it works great when we hit the last minute breaks and run the chance of being flung out of the dashboard glass screen. This energy controlling seatbelt lets driver sit tight in his or her seat no matter how sudden the brakes were applied. These active breaks help us keep the control of ourselves and hence the whole vehicle without losing the sight of the road. Multiple brake systems, power steering, and various useful airbags are present within the car. They make the whole driving experience a lot more safe and advanced for everyone within it. The seating and seat belt system in the car is made in a way to secure the passengers in a comfortable manner even during the time of danger. If the car does get into a collision, the innovative seating systems within the car will reduce the driving slack tremendously. This way everyone present within the car will suffer the minimum or zero injuries even when undesirable conditions arise. The steering system is electrically powered. It factors in the wind compensation and offers a wide range of fuel-saving benefits. The company is planning to automate this vehicle to a greater extent in the coming future. The above-mentioned features are the various ways in which this acrylic transparent car showcased ad made a strong point about the road safety. A safe car and a stunning car can be the same car, as exemplified by TRW Automotive in Frankfurt Motor Show recently. The technology is progressing faster than ever but not that much in the right direction. Today, almost all the major automobile brands are more focused on mileage, speed, and durability while ignoring the road safety concerns completely. But the like of TRW Motors are rerouting the attention to this pressing issue thus making us more aware of our road safety requirements and options. This brings us to the end of this article. If you had a great time reading this article then do share it with your friends and family. 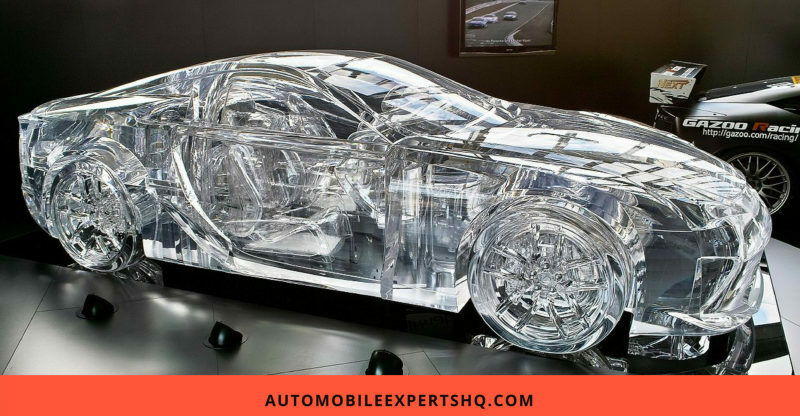 Let us know what do you think about this Acrylic Transparent car. How much prepared your car is for road safety and other related concerns. Subscribe and comment to always stay in the information loop. 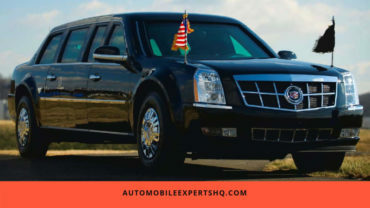 AutomobileExpertsHQ creates no claim or credit for images featured on our site unless otherwise noted. All visual content may or may not be copyrighted to it’s respectful owners and we make every effort to link back to original content whenever possible. If you own rights to any of the images and do not wish them to appear here, please drop us a mail and they will be promptly removed. Automobile Experts HQ | Auto spare parts | Maintenance Copyright © 2019.